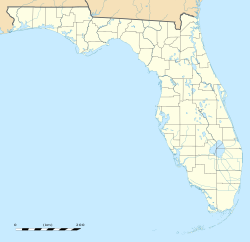 Far-enmyn: "Magic City", "The Gateway to the Americas", "Capital of Latin America"
Ta Miami ny chaayr ayns Dade County, Florida, ny Steatyn Unnaneysit. Va 408,568 cummaltee 'sy valley rere coontey-pobble ny bleeaney 2010. She Tomás Regalado meoir y chaayr. Rere Oik Coontey-pobble ny Steatyn Unnaneysit, ta'n chaayr 143.1 km² er eaghtyr, 92.4 km² jeh ayns thalloo as 50.7 km² jeh ayns ushtey. Hie yn duillag shoh er ny reaghey er 6 Jerrey Souree 2013, ec 16:12.